Before any construction work can begin, construction companies must first secure a project by winning a construction bid. A bid in construction is the method of submitting a proposal (or tender) with an intent to take on a construction project. As the owner of a construction business, you need the best project strategies to succeed. If you feel that your business tactics are not up to par, check out the free online courses for business owners to ensure that your bids pay off. Bids generally come in four types: guaranteed-maximum-price, cost-plus-fee bid, lump sum bid, design-build, and unit-price. The owner can also choose to make a bidding private that is limited to a few individuals or public which are open to all. General contractors usually follow a standard formula when submitting bids: make an accurate material take off (construction talk for figuring out which materials to use based on the provided construction drawings) and submit the lowest possible bid. But, even with this ‘golden rule’, construction companies usually only win between 3 to 10 percent of their bids. There are some companies even lower the bids where they make zero profit out of the project just so they win the project. Being humble is a great quality, but it has no place in construction bidding. When bidding, show off your company’s qualifications and be candid about explaining why your construction firm has the right team for the job. Make sure that you back up your claims with hard data. It’s also worth to remember that even though that price is an important consideration that potential clients look for in a construction bid, it is not the ONLY factor. In every construction project, there is a unique requirement that goes past the normal elements that the bid includes. Find this unique requirement that the client is looking for, and base your bid around that. Sure, there is plenty of fish in the sea, but you don’t have to catch all of them. The same is true with bidding- you don’t have to bid on all the bidding prospects that crop up. Only advertise your brand through implementing small business marketing techniques for the best bids. Avoid wasting your time on poor quality bids. Some construction firms bid on all the projects that they can get their hands on because they believe that the more they bid, the higher the chances of them winning a bid. A lot of times this is not true, it is not about the quantity of the bids, but the quality of the bids that ups your chances of getting the project. How do you figure out that a particular bid is something that you should create a bid for? For one thing take a look at what your company is good at doing – are you specialized in commercial construction? Residential? Industrial? When you figured this out, the rest will follow. Stop bidding at projects that you know that your company has a very slim chance of winning because your company either is not experienced in that particular field of construction or don’t possess a specific specialty that the bid is asking for. Statistics show that it takes about 7 days for the first bidder to submit their tender after a Request for Proposal has been sent out. This gives you a very big window of opportunity for you to get your bid out there first and make a great first impression to your potential client. Of course, in addition to being fast, you also have to be accurate in your material take offs, otherwise, you could end up covering for the cost from your pocket. One of the best ways to do this is to use technology. 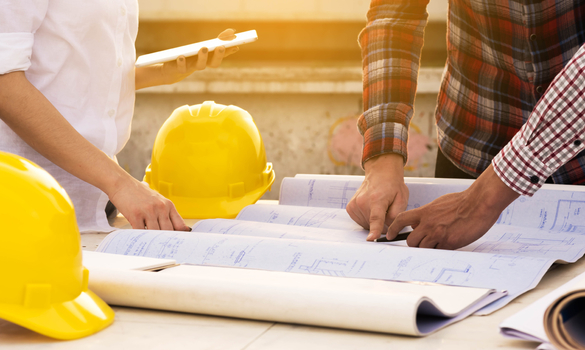 The construction industry nowadays uses software programs to streamline their processes like a punch list for new home construction to speed up the punch list process, or a construction bidding software to speed up the bid creation. AEC professionals who use bidding software report that they are able to make bids up to 60 percent faster compared to when they were using the traditional pen and paper. Unless you’re participating in a lump sum bid, break down the cost so that the client will see exactly how the resources will be allocated. Use analytics from your construction company site and previous jobs to provide reasoning. Doing so will show the clients that you are thorough with your thought process and can be trusted with the project. You want the client to understand why you are bidding at that price. Sometimes, potential clients just need to see another perspective to realize that it’s not all about the lowest bid. Don’t waste valuable time and effort in speaking with the wrong people. Zero in on the key decision makers (because usually there is more than one). Once you’ve identified who they are, talk to them in whatever form they prefer (email, phone, face to face) and ask them questions about the bid. Listen and try to comprehend what they are looking for, and then tailor your proposal to that. Winning construction bids can be difficult especially if you’re new to the field. Above everything else, don’t give up which is easier said than done particularly if you’ve been losing bid after bid. The road to winning construction bids is not a sprint, it’s a marathon, so keep your head up, and keep going.